Has interior design become too serious? Are we too focused on making everything perfect, at the expense of missing an element of fun along with this? The architect Alex Michaelis is a man with a sense of humour. If you don’t recognise his name, you’ll be aware of some of his work; currently the interiors of the re-developed Battersea Power Station, as well as creating restaurants for Tom Aikens and putting a windmill on top of David Cameron’s home in 2006. Reading through the papers the other day, the unusual additions he's made to his own home caught my eye. The first is a slide which runs next to the staircase and deposits the slider to the ground floor kitchen/dining room. A fun option not just for children! No excuses being late with one of these to help you down! The second is a fireman’s pole, starting from a landing near his children’s bedrooms and ending in the kitchen, next to the swimming pool. Who wouldn’t want to have a go on that?! You can just see the fireman's pole at the end of the kitchen. You can read the full article about him here. It made me think about the decoration and style of our interiors and whether we inject enough fun into them. Do we allow ourselves to let go? Although we want our homes to look good and be beautiful, it’s also lovely to be able to play around a bit and add some light heartedness in there too. This is especially important for our mental well being and should we have stressful lives at work. But if you don't fancy making a hole in your ceiling to accommodate a pole, how else can we introduce design that makes us smile? If you need a new chair, why not make it a swinging one?! This swing seat looks beautiful and will remind you of days spent in the park as a child. Good thing there's lots of space in front and behind! You may have trouble finding the sink to wash your hands, but crazy tiling is definitely not dull. Why bother trying to hide those wires... make a feature instead. It's easy to make a kid's room fun, though why not make the teepee adult sized?! Put a bit of pizzazz into your fridge. A beautiful stained glass door (or window) will transform your interior. 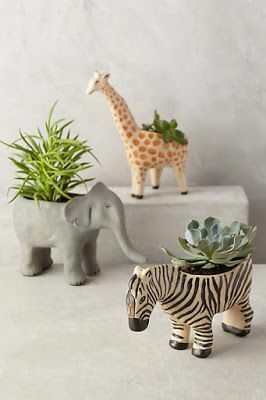 Indoor planters with a sense of humour. A quirky way to link two rooms. A great way to use that old bicycle in the shed! Put marbles into your garden fence for some lovely colour as the sun rises and sets. Sometimes all you need is to add some colour to create a happier room. What are you waiting for? Release your inner child and go have fun with your home!